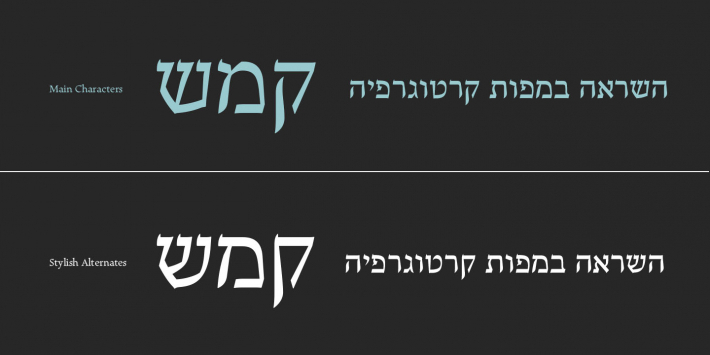 It was my first attempt at drawing a Hebrew alphabet to match directly with another typeface (Latin) which I already designed. 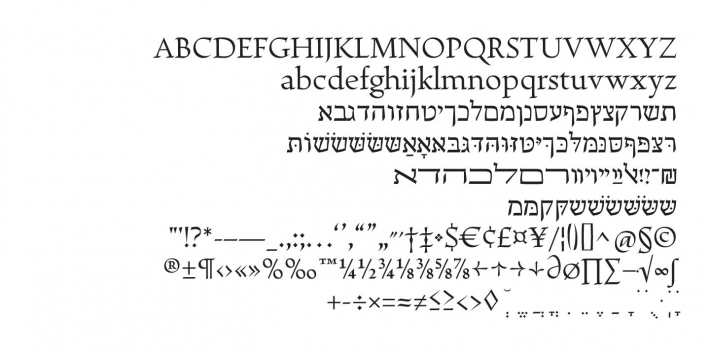 The Latin version is a handwriting display typeface influenced by chancery handwriting from the Italian Renaissance (broad-nib pen). 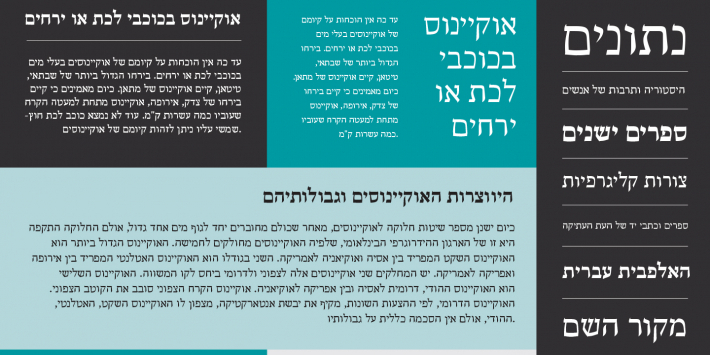 One of the most typographic characteristics is their wavy forms, especially the serifs, where contains some of the main calligraphic references from this font family. 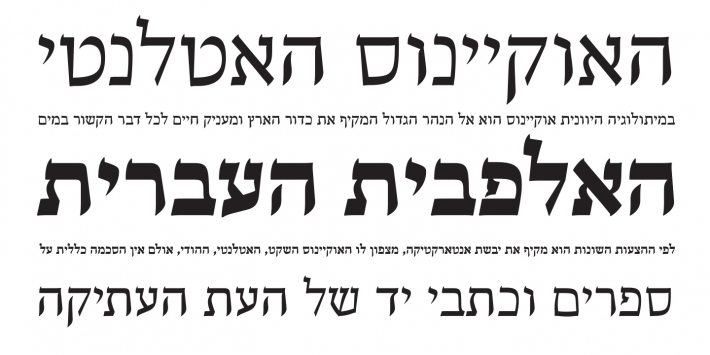 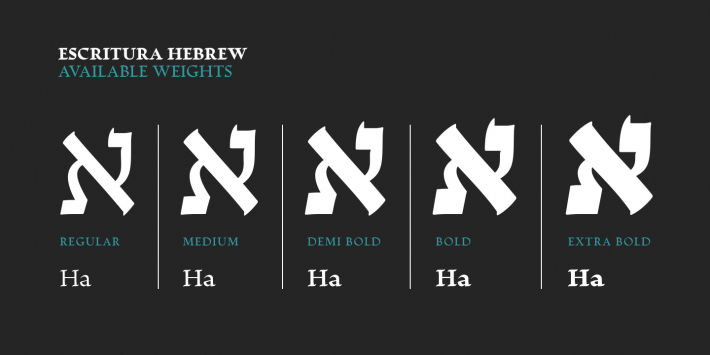 The Hebrew script contain reverse contrast, the vertical proportions are taller and the stroke weight is slightly more strong than latin lowercase to produce a correct visual balance between them, especially in small sizes (text proportions). 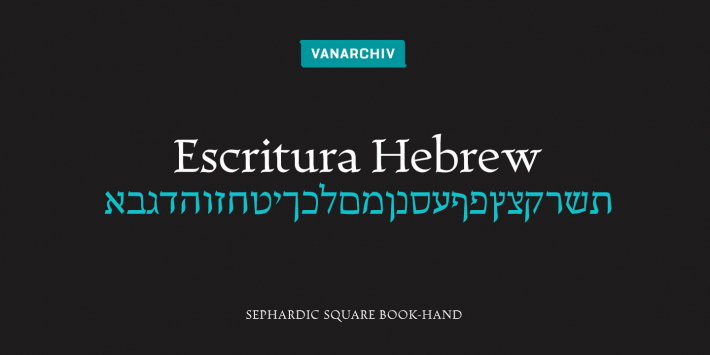 This Hebrew square book-hand was influenced by Sephardic script style. 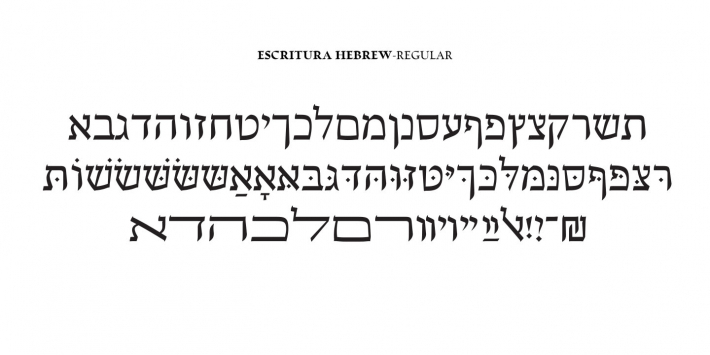 The Latin characters contain interrupted strokes, the same was made for Hebrew letterforms to transpose correctly the same calligraphic approach between these two different alphabets.